A Divine Compilation of 42 Great Saints from India. The Prime Tenure of most of these personalities dates before 1950. Brahmanda Guruji Shri Narendra Babu Sharmaji said that he will be speaking on these 42 Monks of India in his Bruhat Brahmanda programme in coming episodes. 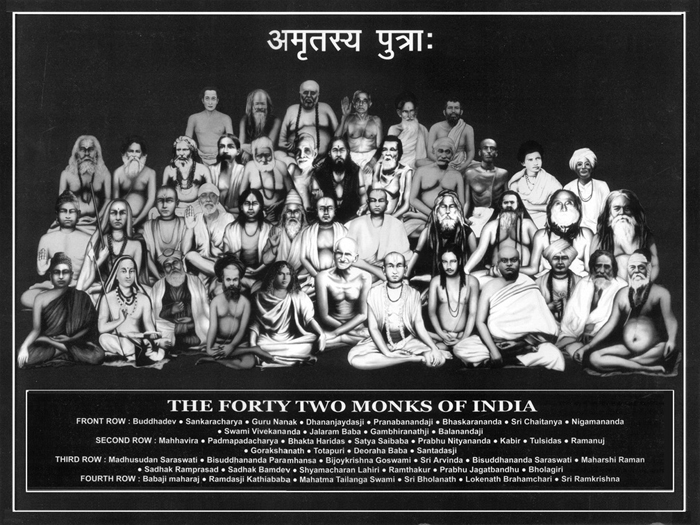 But while googling on 42 Monks of India, i found a video link for 54 Monks of India.